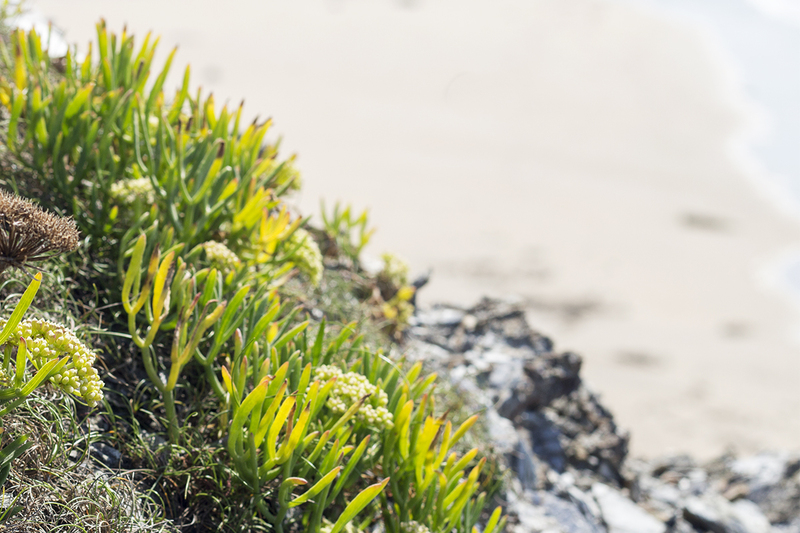 Crunchy, salty, aromatic; Crithmum Maritimum, or Rock Samphire, is an essential part of one of our signature infusions and imparts a wonderful minerality to our gins. Its name comes from a corruption of Saint Peter, the patron saint of sailors and has been enjoyed for thousands of years. Not to be confused with Marsh Samphire, which is a member of the beet family, Rock Samphire belongs to the umbelliferae family. Also referred to as sea fennel or sea asparagus, the ancient Greeks wrote of the culinary and medicinal merits of this ubiquitous plant that clings to the thousands of miles of cliffs hemming the Mediterranean and North Atlantic coastlines. Edg. 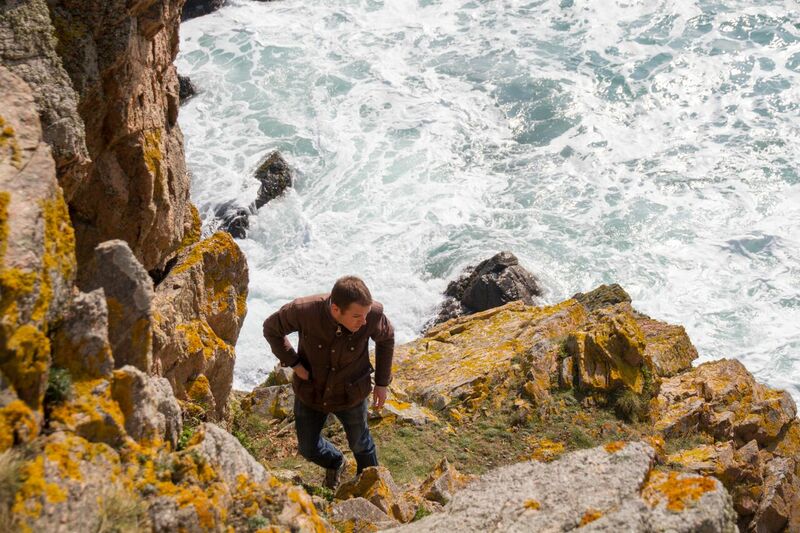 Come on, sir; here’s the place: stand still. 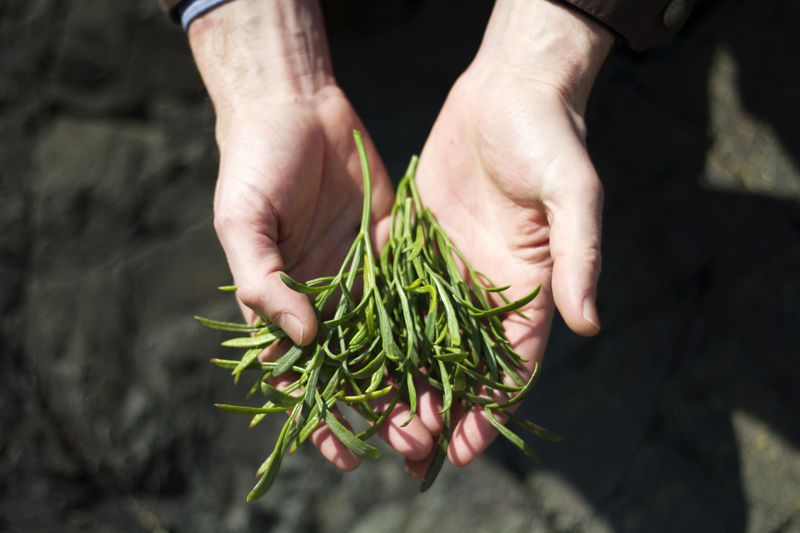 While we pick our rock samphire straight from the cliffs of Guernsey, for less treacherous foraging, it is actually possible to grow and cultivate rock samphire in the safety of your garden. To grow, it needs well drained soil in full or partial sun and while it is salt tolerant, it does not need to be grown in salty soil or environments. Sow in autumn or spring and harvest between May and October. You can purchase seeds from most seed companies. So if you want to be able to enjoy rock samphire this year, its worth buying seeds etc now so you can get started. And it really is worth it, because it makes a beautiful addition to steamed vegetable medleys and used as an accompaniment to seafood in both western or asian cuisine.